The ExInstaller is a software component and application programming interface (API) for Microsoft Windows OS used for the installation, maintenance, and removal of our software. The ExInstaller is the base tool that installs / uninstalls any of our software products. The installation information and the files themselves, are packaged in installation packages ( .LZW files ). 32 / 64 bit installation support. Run the ExInstaller tool or any other product installer ( starting from 10.1 ), and press Shift + Click, to run the inside installer. 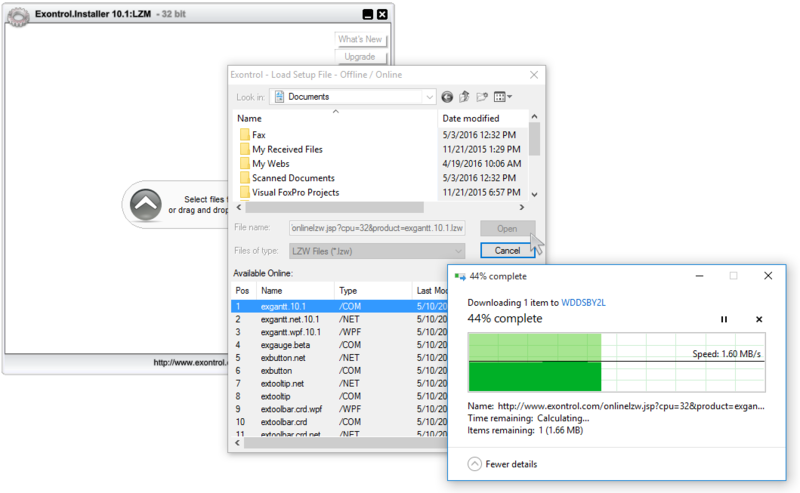 Click the "Select files to load / or drag and drop .lzw files" button. The Available Online list, displays 32 bit products only, while the installer itself is 32 bit, or 64 bit products, if the installer is 64 bit. Select the product you need to install, and click Open. 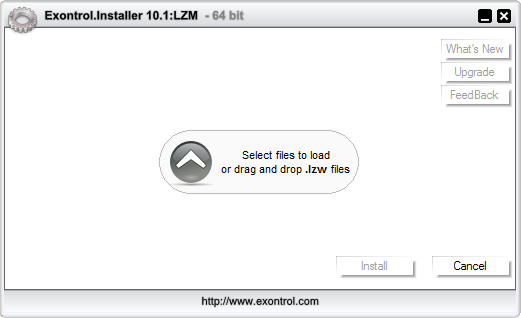 The tool opens the "Exontrol - Load Setup File - Offline / Online" file dialog that shows available .LZW files you can load. Wait until the setup is loaded and click Install button. Uninstall: Locate the file "uninstall.exlog" in the folder where you have installed the component. 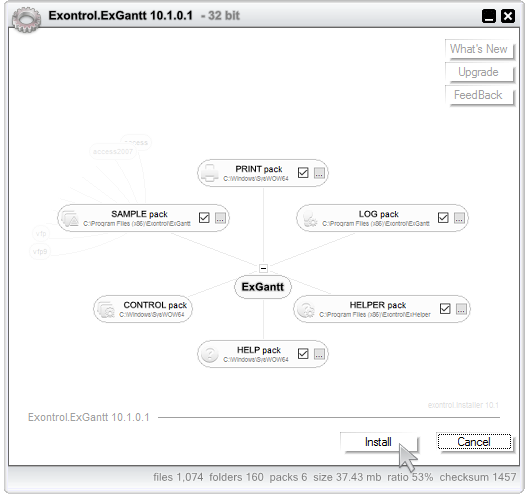 By default the control's path is: "C:\Program Files\Exontrol\ControlName". 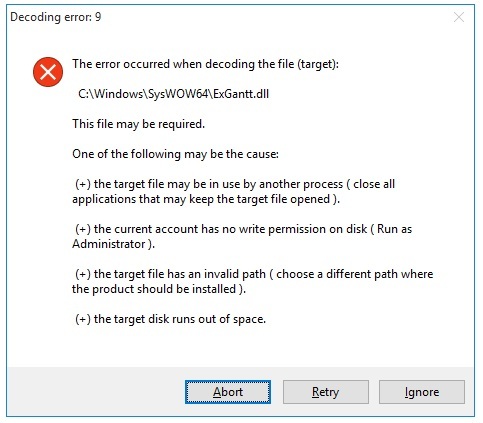 Once that you have found the file you have to run the install program again using this file as argument, or you can associate for "exlog" files the install program, and then dblclk on your Windows Explorer. We are using our own installer called: "Exontrol Installer/Uninstaller Tool", formerly "Exontrol ExInstall Setup Generator". Our installer just copies samples, documentation and the control's dll to your machine. The "uninstall.exlog" file contains the list of files/folders being copied/created on your machine. info If your intention is installing a NEWER version, you should know that uninstalling the previously version is NOT required. Shortly, simple re-run the new setup and it will install the new component including new properties, methods, events, samples, documentation by overriding the older version ( if it exists ). /? displays help information on using this command. /silent performs silent installing/uninstalling the product. 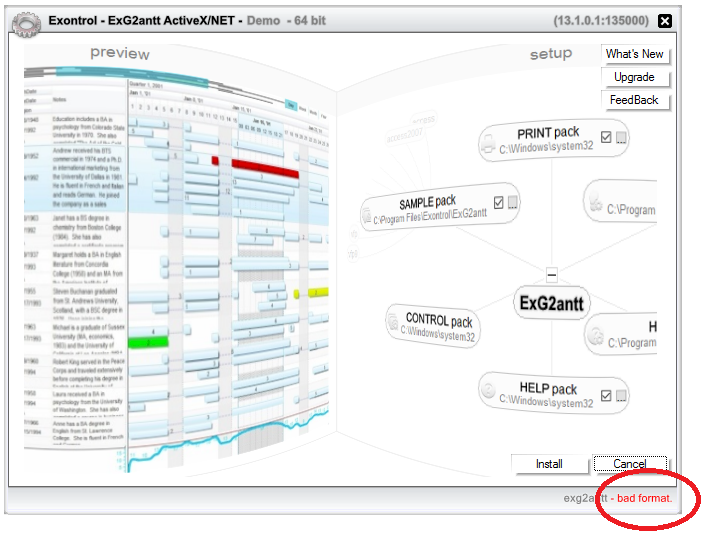 file indicates the uninstall.exlog to uninstall, or the .lzw file to install. installation errors. During installation, make sure that none of the files being installed are not being used by other applications / processes. For instance, you are installing the product, while you have a project opened that uses the same product. We recommend closing all applications, during installation, so no error occurs. Once the installation is completed, the product's folder is opened in your Windows Explorer. bad format, indicates that you are running the 32 bit installer, and the inside LZW file is 64 bit format, or reverse. missing library, indicates that the setup file contains no library file.